This public forum is an introduction of the work of the Westchester Coalition for Police Reform to the Yonkers Community. 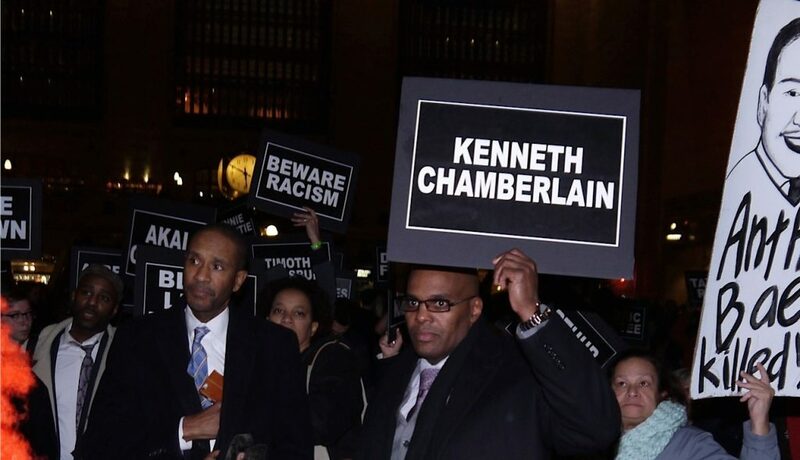 Speakers include: co-founder of the coalition Kenneth Chamberlain, Jr., who lost his father in a police killing in the City of White Plains in 2011. Also, speaking will be the convener of the coalition, Rev. Doris Dalton, who is also the Executive Director of the Westchester MLK Institute for Nonviolence; Yonkers Community Organizer Hector Santiago and WCPR steering committee member Nada Khader who will speak about WCPR’s April forum on civilian oversight of local law enforcement.